The average woman will wait four weeks and one day before she lets a new boyfriend see her without make-up, a study revealed. A study of 2,000 single women showed they felt far less attractive, less confident and more vulnerable without a full face of make-up. And six in 10 wanted to be sure a prospective partner liked them enough before revealing their make-up-free look. The study shows that nine out of 10 women want a new partner to think they are beautiful and well turned out at all times, and as such always try to make sure their make-up is perfectly applied for the first few dates. Girls would spend at least 40 minutes getting ready to meet a new boyfriend, picking out the most complementary outfit and ensuring their hair is as perfect as their face. Six in 10 women claim they are extremely careful that a new boyfriend never sees them without make-up, and reapply it frequently during the course of a date. A third of girls polled admit to running to the bathroom immediately after staying over at a partner’s house for the first time, just to re-apply their make-up. 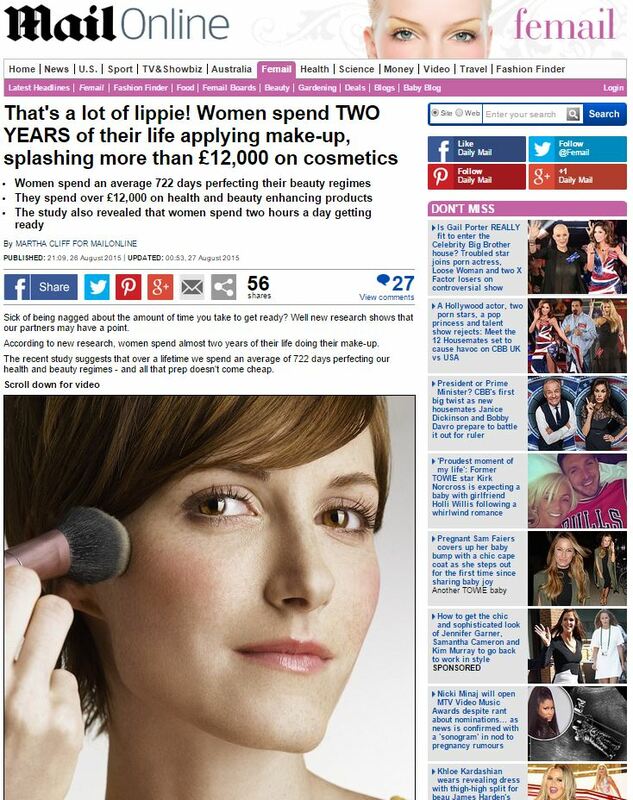 Superdrug spokeswoman Sarah Sharp said: ‘It does take a while for women to feel comfortable with a new partner and make-up can act as a shield for many females. ‘The research indicates that for many women wearing make-up isn’t just a way of looking attractive, it’s much more than that, it’s a way to be confident and project an image. Or, indeed, not – instead, the company behind this article explain how the pressure to always be fully-made-up is a good thing, because women need cosmetics in order to feel confident. This may well be true, of course, but largely as a reflection of the undue pressure put onto women by the likes of cosmetic retailer Superdrug, who created this whole article in order to sell more cosmetics.